VFW began research in 1960 on ways to improve the capabilities of helicopters. 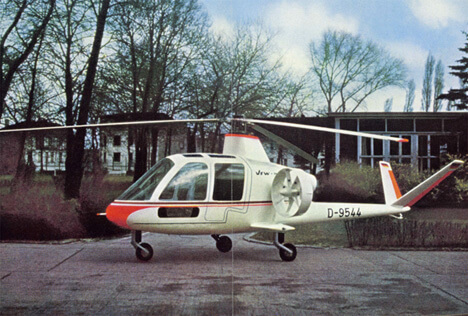 The H3 was the second of an intended series of sophisticated compound helicopters. 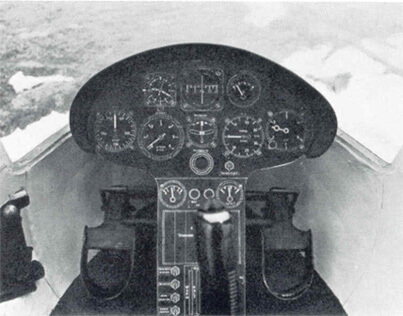 It used a turbine engine which drove a compressor to produce compressed air to drive the rotor blades through nozzles at their end. It also had two ducted fans for forward thrust. The first of two prototypes flew in 1970 but development was abandoned when VFW merged with Fokker in 1972. This title contains the flight manual for the VFW H3 prototypes E1 and E2 plus a manufacturer’s colour brochure. The files have been scanned from the original flight manuals and retain any colour pages. 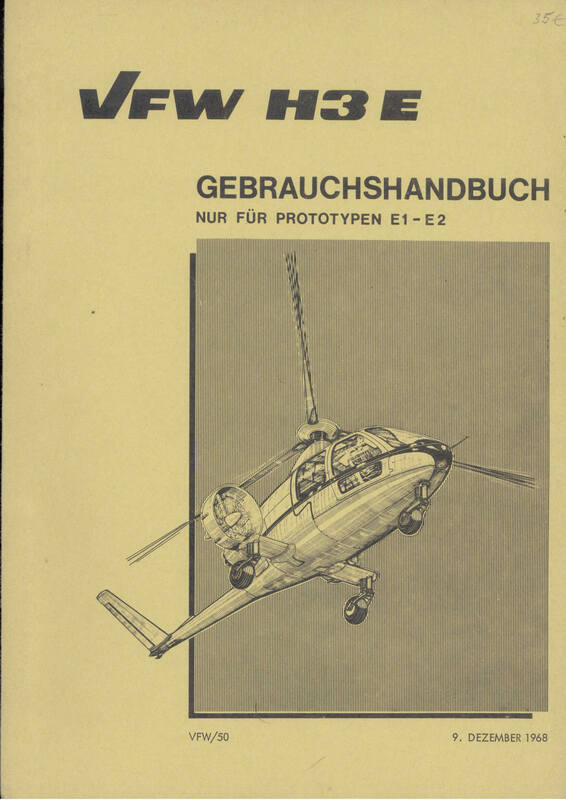 Manufacturer’s Flight Manual (titled Gebrauchshandbuch) for the VFW H3 Prototypes E1 and E2, dated 9-12-68 with approx 60 pages. 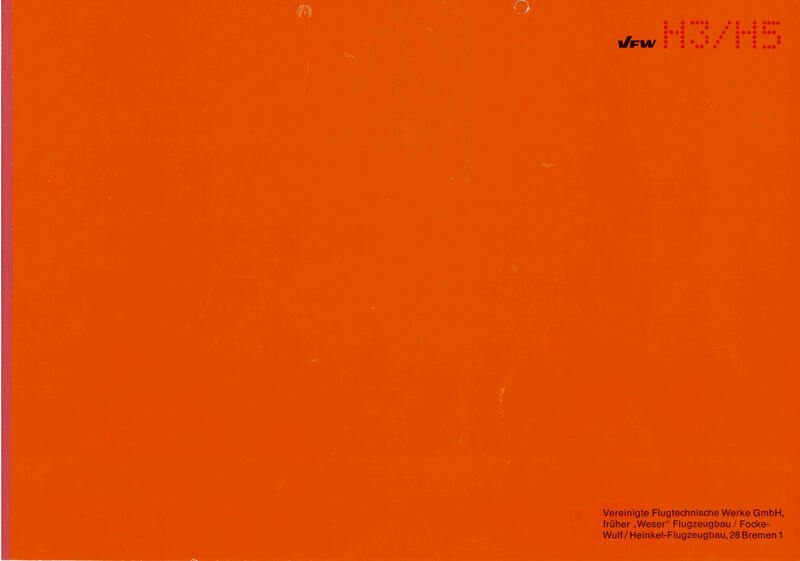 Manufacturer’s colour brochure for the VFW H3/H5, dated 1968 with approx 21 pages including photos and attachments.